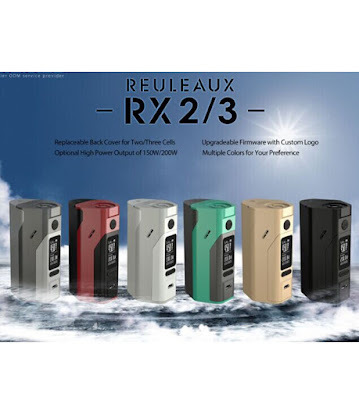 Wismec Reuleaux RX2/3 comes on official authorized online store wismec.org! A new Reuleaux series: RX2/3 comes now! This RX2/3 allows you to have replaceable back cover options for two or three cells, so you can have two options of power output, 150W or 200W. Also multiple fashionable colors are available for your option. Hurry to choose your favorite one on our website wismec.org.